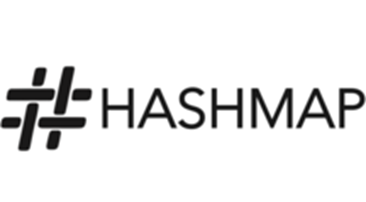 1-Day Big Data Cloud Migration Workshop: This one-day workshop from Hashmap is for business and technical leaders and key stakeholders, and it's held at the client's facility. Receive guidance and assistance in defining services and the overall solution. 2-Week Azure Assessment: Assess your current datacenter environment (up to 100 VMs) and receive optimization recommendations for a cloud migration. An Azure architect from Catapult Systems will review the results of an assessment tool and provide recommendations. 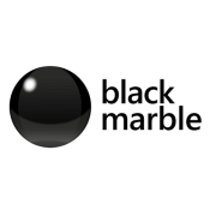 3 Day Cloud Adoption Workshop: Black Marble's on-site cloud adoption workshop is free-form and wide-ranging, usually covering technology and architecture; development, deployment, and testing; monitoring and maintenance; security and compliance; and more. 3 Day Integration Health Check: A Black Marble consultant will spend one day with the customer, assessing the integration solution and producing a report based on the findings. Two days will be spent off-site to document system performance and make recommendations. 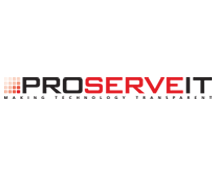 3-Day Office 365 Security Assessment: This assessment by ProServeIT is for any business stakeholder responsible for customer data and security. It includes a kickoff presentation, a questionnaire, and a presentation with a list of Office 365 security recommendations. 5 Day Azure DevOps Migration Workshop: A Black Marble consultant will deliver a two-day on-site workshop to discuss options for migrating on-premises TFS to Azure DevOps (formerly VSTS), followed by a three-day report covering discussions, recommendations, and next steps. 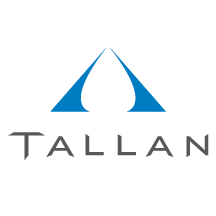 Active Directory Health Check: 5-Day Assessment: Tallan will work with you and your team to make documented suggestions to improve the administration, health, monitoring, auditing, alerting, backup, and replication of Active Directory. 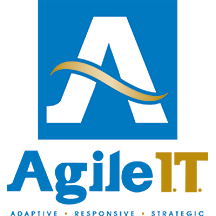 AgileDataCenter: 2-Week Assessment: The Azure Readiness Assessment Planning offer is intended to assist a company's internal IT department in preparing for a datacenter migration to Microsoft's Infrastructure-as-a-Service platform. AI and Insights Ideation Workshop: Catapult Systems will lead you through a co-creation event. Our AI ideation workshops guide organizations through the art of the possible so that we build a practical and actionable AI adoption road map. AI Innovation: 2-Week Workshop: An innovation sprint helps clients think through the art of the possible using AI technologies and develop a set of ideas and a business case that can be rapidly built and tested. 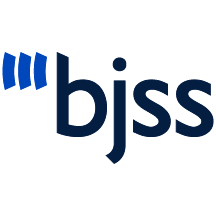 A small BJSS team works with client teams to answer critical questions. ANSYS Cloud HPC Proof of Concept: This two-week proof of concept is designed to demonstrate how ANSYS can be configured and scaled on Azure HPC. Azure HPC is a scalable modern infrastructure solution that can expand or shrink based on your engineers’ needs. API Economy - 1-Week Proof of Concept: For many organizations, APIs are now a critical component of solutions that impact the bottom line. The API Economy Platform Blueprint takes away the risk and steep learning curve of bringing an API-based proposition to market. Application Modernization: 2 Week Trial Workshop: This engagement is designed to demonstrate the ease and value that Microsoft Azure and Docker containers deliver as a core part of an application modernization strategy. Artificial Intelligence: 1-Hour Briefing: This briefing will articulate the benefits of a product-centric approach to designing and building AI solutions, from two-week proof-of-concept sprints and the rapid delivery of testable alphas to fully integrated enterprise-scale solutions. 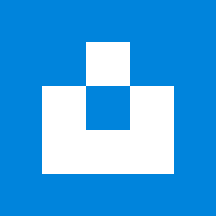 Ask the Azure Expert - 3-Day Assessment: Ask the Azure Expert is your easy, fast, and free way to receive technical recommendations from the Topcoder community. 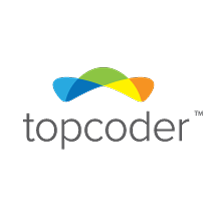 Topcoder gives you on-demand access to a global network of developers ready to tackle your Azure-related questions. Automated Lead Generation with AI Implementation: Week 1 will involve requirements engineering, a workshop, model training, infrastructure, and implementation of the solution. Week 2 will involve quality assurance, documentation, training, and change management. 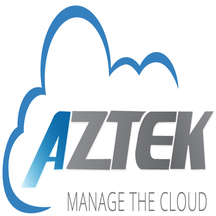 Aztek CloudCare 1~30 Days Implementation: Aztek CloudCare delivers an array of support services for Microsoft Azure. Aztek CloudCare will supply business continuity, let you manage your budget wisely, and enable your organization to keep up with the latest cloud technology. Azure - SQL Database, Disaster Recovery Assessment: CodeCenters International will review your SQL server, Azure database, and/or Analysis Services solution and provide an end-to-end backup and disaster recovery plan, including timelines and Azure cost projections. Azure Active Directory: 1/2 Day Virtual Workshop: In this one-on-one workshop from 360 Visibility, you will gain an understanding of what Azure Active Directory is and how it can provide a more secure solution for your organization. Azure ASM to ARM Planning and Migration: 2-Weeks: Presidio's team will review every aspect of your Azure ASM Resource Pool and produce a plan to provide a seamless transition to ARM-based solutions. Azure Backup - 5 Days Assessment: This on-premises assessment by Programmer's will define a backup/archiving plan for a Microsoft Azure storage environment. 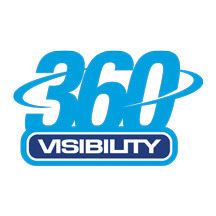 Azure Backup and Site Recovery: 1/2 Day Workshop: This one-on-one session from 360 Visibility will turn a complex subject into a simple, comprehensive, and robust solution that can be customized to meet your needs. 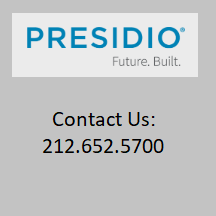 Azure Backup Recovery Planning and Delivery: 2-Weeks: Presidio's team will review your on-premises VMware and physically hosted application pool and produce a plan to provide advanced backup, disaster recovery, and business continuity plan failover solutions. Azure Cloud Introduction: 1/2 Day Virtual Workshop: In this one-on-one session, 360 Visibility will develop a plan to make your transition to Microsoft Azure as easy as possible while mitigating potential challenges so you can maximize your return on investment. Azure Data Center Migration: 1-Hour Briefing: This briefing from Communication Square will introduce Microsoft Azure and detail how you can benefit from it, covering cloud security, backups, disaster recovery, and a look at different industries using Azure. 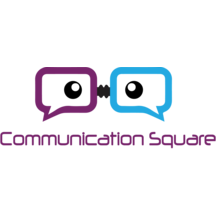 Azure Data Center Migration: 2-Day Assessment: Communication Square will assess your environment and the cloud migration processes that fit the needs of your organization, then devise a road map for the migration. Azure DevOps Hackathon: 3-Day Workshop: This workshop will cover the latest Azure technologies and foster team building. Teams will be provided quick-start materials so they can dive right into the challenge rather than spending time provisioning resources. Azure Financial Management: 3-Day Workshop: This 3-day workshop by Catapult Systems is designed to help customers put processes in place for Azure financial awareness and optimization, departmental chargebacks, and account and subscription resource tags. Azure Governance Solution: When paired with governance and security measures established and maintained via a proven governance model, the benefits of the public cloud can be fully realized. 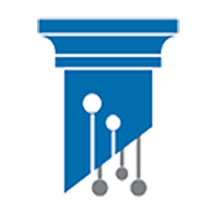 Azure Governance: 1-Wk Workshop: By the end of this workshop by Thomas Duryea Logicalis, clients will understand their security profile, cost savings/management strategies, billing and reporting, and optimization through automation. 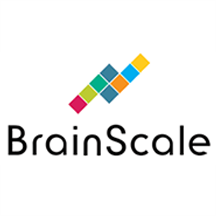 Azure Governance: 2-Day Workshop: This workshop by BrainScale will help you understand your governance requirements, presenting overall cloud governance pillars, covering compliance and billing, and developing an implementation plan. Azure Governance: 3-Day Workshop: This three-day workshop by Catapult Systems is designed to help customers understand the role of governance in provisioning and managing Azure subscriptions and services. Azure HPC Linux Cluster Implementation: 2-Weeks: Presidio's team will review your on-premises VMware and physically hosted application pool and produce a plan to provide high-performance computing solutions at a lower cost than on-premises infrastructure alone. 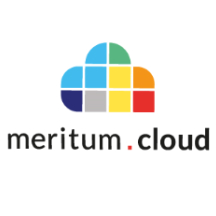 Azure Hybrid Cloud 5-Day Proof of Concept: During this proof-of-concept engagement, Meritum Cloud will carry out a discovery workshop and build an Azure tenant for the customer, configuring the environment based on security best practices. Azure IaaS 10-Day Workshop: Whether you are new to the cloud, looking to enhance productivity, or wanting to streamline costs, this 10-day workshop by Tallan will help you understand what Azure Infrastructure-as-a-Service can do for you. Azure IaaS Proof of Concept: 3-Day Engagement: In this engagement by Foundation IT, you will gain a quick and focused understanding of the benefits that Microsoft Azure Infrastructure-as-a-Service can bring to your organization. 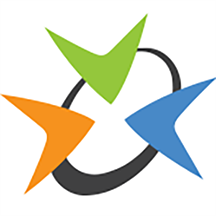 Azure Migration Evaluation: Half-Day Workshop: This free workshop by Sysgain will educate business and IT professionals about migrating workloads to Azure. The workshop will be delivered remotely by Sysgain cloud experts and will be customized to each customer's needs. Azure Migration Plan and Funding: 4-Hour Assessment: In this free engagement, Xerillion will assess your on-premises servers and networking, then create a proposal for a migration or a proof-of-concept project that can qualify for funding by Microsoft. Azure OMS and Log Analytics Implementation: 2-Weeks: Presidio's team will review your Azure subscription and produce a plan to provide advanced automation, orchestration, logging analytics, and cloud-based network operation center solutions. 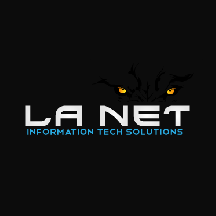 Azure Readiness Workshop and Report: LANET will evaluate the customer’s environment to determine a solution and provide an estimate of cost and timing, then present a workshop online or on-site and follow up with an assessment report. 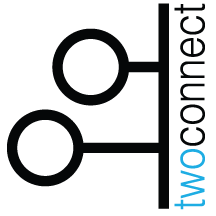 Azure Resilience: 3 Days Proof of Concept: If you are a U.K. company looking to become certified in the British Standards Institute’s ISO 22301 for Business Continuity Management, then Nero Blanco's Azure Resilience proof of concept is well worth reviewing. 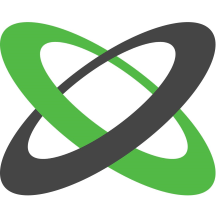 Azure Resilience: Implementation > 1 Week: This Azure Resilience implementation from Nero Blanco leverages our expertise in Azure Site Recovery, Azure Storage, and Azure Backup. We will implement a disaster recovery solution for your workloads. Azure Site Recovery Planning and Delivery: 2-Weeks: Presidio's team will review your on-premises VMware and physically hosted application pool and produce a plan to provide advanced replication, high availability, and business continuity planning solutions. Azure Site Recovery to Azure:10-Wk Implementation: Azure Site Recovery to Azure replicates workloads to Azure without adding secondary datacenter costs. 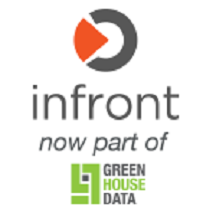 This implementation by Infront Consulting Group will enable true business continuity and disaster recovery. Azure SQL Cluster and HA: 2-Weeks: Presidio's team will review your on-premises SQL environment and produce a plan to provide advanced replication, high availability, and business continuity planning solutions at a lower cost than on-premises infrastructure. Azure Visual Studio Dev/Test: 5-Day Workshop: Ready to move to the cloud? During this workshop, Tallan experts will discuss virtual networks, virtual machines in Azure, load testing, coded UI tests, automated deployment scenarios, and more. AzureFactory Cloud Migration Assessment 1-week: The AzureFactory Cloud Migration Assessment by Cubesys leverages the power of software and AI to map your journey to Azure and provide detailed information for your optimized migration. AzureFactory DR as a Service 3-week Implementation: AzureFactory Disaster Recovery-as-a-Service (DRaaS) is built on Microsoft Azure. It provides a fast and reliable way to protect your critical workloads. Let Cubesys take care of your disaster recovery plan. 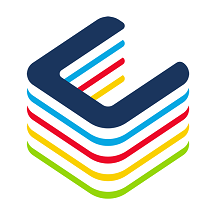 AzureFactory Foundations 1-Week Implementation: AzureFactory Foundations by Cubesys gives you complete control of your Azure subscription by providing out-of-the-box governance and connectivity. 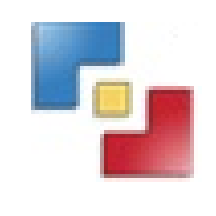 AzureFactory Foundations Assessment 3-Days: The AzureFactory Foundations Assessment by Cubesys delivers a vital assessment of your Azure foundations. You'll be provided with a clear report indicating the current state and targets for remediation. AzureFactory Migration 4-Week Implementation: Cubesys’ AzureFactory Migration allows you to migrate to Azure, build secure cloud foundations, and optimize your workloads. 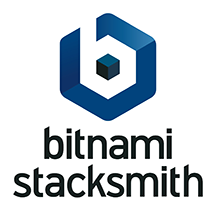 Bitnami Stacksmith 5-Day Proof-of-Concept: In five days, Bitnami will package and deploy your application to Azure and teach you how to maintain your app to keep it up to date and secure. BizTalk Data Migration to Azure+PowerBI: 3-Day PoC: Migrate your BizTalk operations data from desktop tools to Azure and empower your users to view the status of business processes and interactions in real time without custom programming. Bot in a Day: 1-Day Workshop: Tallan’s Bot in a Day workshop will give developers training on the basics of building and understanding AI bot technology while giving upper management insight to the art of the possible. Briefing- Azure On Ramp: This briefing by Catapult Systems will include configuring and monitoring Azure, optimizing costs, adhering to governance policies, and personalizing cloud best practices. Broadband Asset Assessment: Tilson will develop a checklist of potentially useful broadband assets that may be present in the region, identifying which are present and where. 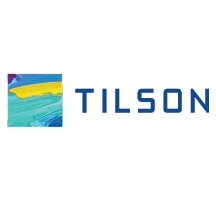 Tilson uses ESRI ArcGIS and QGIS for its geographic information system work. Build and Enable a Self-Service Data Culture: In one hour, Decisive Data will discuss how we can work with you to build and enable a self-service data platform and culture utilizing a match made in the cloud: Microsoft Azure plus Alteryx plus Tableau. Business Intelligence Roadmap 4-week assessment: For decision-makers struggling to obtain information to make the best decisions, a business intelligence road map is a good way to take stock of your current situation and define your needs and objectives. Capstone Windows Server Migration Workshop: This engagement by Capstone Consulting will demonstrate a modernization process designed to migrate legacy Windows Server and SQL Server applications to Azure. Chat Bot Concept Workshop and Report: A designer and a developer at Black Marble will deliver a one-day workshop that will include an introduction to bots, a demo, a Q&A session, a creative session for identifying key requirements, and a road map of next steps. Chatbot Proof of Concept with BotStack: Black Marble will explore the potential of bots, delivering a workshop, creating a high-level report, and providing a proof-of-concept bot application aligned with the requirements identified at the concept stage. 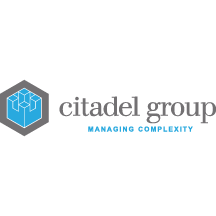 Citadel-IX: Citadel Group has a flexible model to meet your needs, and we can migrate Citadel Information Exchange (Citadel-IX) as an on-premises solution to Azure or do implementations directly into Azure. 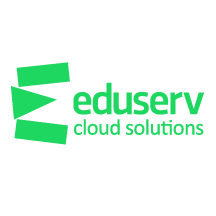 Cloud Adoption Assessment: 3-week assessment: Eduserv's Cloud Adoption Assessment examines your IT services and business objectives against the benefits, costs, and risks of moving to the cloud. Eduserv will also outline a migration plan and a development road map. Cloud Adoption: 1-Day Assessment: This one-day session by Tallan is part education, part brainstorm. Our cloud architects will work with you to identify your specific business needs and challenges, recommend next steps, and put a plan in place to avoid common adoption pitfalls. Cloud Architectural Review: 8-day assessment: Eduserv's Cloud Architectural Review assesses your public cloud estate and operational processes against your business objectives from the perspectives of operations, security, reliability, performance, and cost optimization. Cloud Assure ISV QuickStart: 3-Day Assessment: Grey Matter’s Cloud Assure ISV QuickStart service will help you, as an ISV or application builder, deploy your application to Microsoft Azure regardless of the existing deployment model. Cloud IaaS Migration: 3-Day Workshop: This three-day workshop by Thomas Duryea Logicalis is for technical leaders and key stakeholders and is held on-site at the client’s facility. It will focus on Azure governance, migration, deployment, compatibility, and costs. Cloud Infrastructure Transformation 4 Week Impl-UK: New Signature's Cloud Infrastructure Transformation will help you rapidly establish a secure, scalable virtual datacenter in Azure based on Microsoft best practices and New Signature’s extensive expertise. 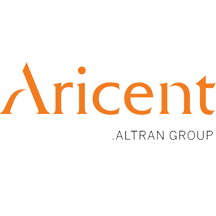 Cloud Managed Services :- 2 Weeks Briefing: Aricent's cloud offering provides a comprehensive set of services and in-house frameworks to efficiently deploy and migrate workloads from on-premises environments to the cloud. 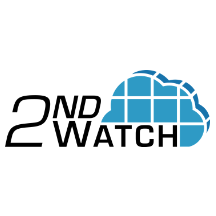 Cloud Migration Cost Assessment: 6-Weeks: 2nd Watch’s six-week assessment simplifies and accelerates the path from on-premises to the cloud with instance rightsizing and total cost of ownership analysis using TSO Logic. 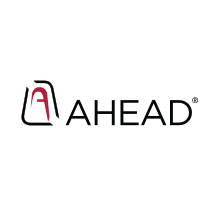 Cloud Readiness Assessment: 1-Day Evaluation: This service by Foundation IT provides a one-day review of the client's IT infrastructure and a report detailing an Azure migration approach and recommendations. Cloudhouse Containers: 10 Day Migration Service: Cloudhouse's migration services help businesses prepare to move an application to the cloud. This 10-day engagement is for technical and business leaders and will be delivered partly on-site and partly via webinars. Configuring and Managing Virtual Networks: This workshop by Dynamics Edge teaches IT professionals to create and manage virtual machines and to configure and manage Azure virtual networks (VNets). It also covers basic network configuration tasks. Containers and DevOps - 1 Day Workshop: Spektra Systems' one-day training with a hands-on lab guides you through the process of building and deploying Docker images to the Kubernetes platform hosted on Azure Kubernetes Service. CoPilot for Azure: As organizations adopt Azure at scale, CoPilot allows clients to continue optimizing their environments with the help of AHEAD's team of certified Azure engineers. 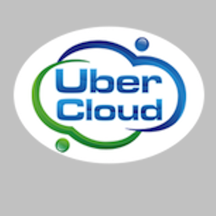 CST Cloud Consultation 1-Hour Briefing: This one-hour online briefing by UberCloud will teach you how Microsoft Azure can benefit your CST simulations. By running CST Studio Suite on Azure, you can take advantage of scalable, state-of-the-art hardware resources in the cloud. Customer Service intelligent Chatbots Implement: In this engagement, adesso AG implements customer service chatbots. The benefits of digital customer service include constant availability, cost reductions, and integration into the Microsoft landscape. 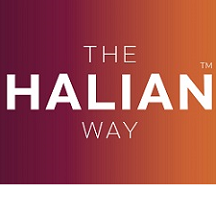 Cybersecurity Assessment with GDPR - 2 weeks: This assessment by Halian will result in a comprehensive Microsoft Power BI report that will give you specific recommendations on where and how you can achieve a higher level of security and GDPR compliance. 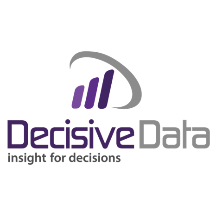 Data Analytics: 15-Days Proof-Of-Concept: In this three-week engagement, Programmer's will explore one business scenario at your organization and leverage data science to improve results. 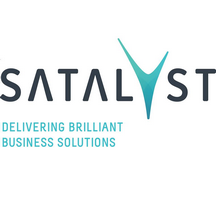 Data Estate Modernisation 5-Day Assessment: Satalyst will assess your data environment, document the current state, define a high-level future-state data platform environment, estimate the costs of the new environment, and deliver a data estate modernization guide. 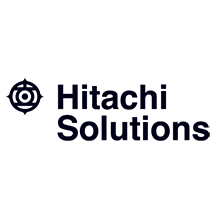 Data Quality Health Check: 4-Week Assessment: Sign up for a four-week engagement with data governance architects from Hitachi Solutions, who will give you step-by-step, personalized guidance on operational and analytics master data for a given domain. 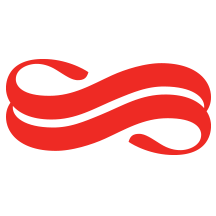 Data Science Operationalization-1 Week Implementation: With endjin, design and develop flexible, extensible, scalable, and multi-tenant polyglot data processing pipelines to power your intelligent solutions. 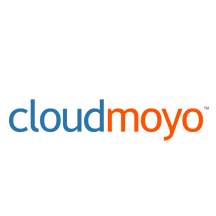 Data Strategy and Modernization :5-Day Assessment: Through a series of workshops and whiteboard sessions, CloudMoyo's experts will assess your data layer, ETL layer, and reporting/analysis interface to help you determine how your BI environment is performing. DB Health Check - 1 Week Assessment: Ascent Technology will take an inventory of your database system and check key performance indicators to provide you with a comprehensive health report with suggestions for maintenance and architecture. Demand for Broadband Assessment: In this assessment, Tilson will evaluate current and future demand for broadband services in the region. We will use Form 477 data to determine where broadband services are available and the network speeds advertised in those areas. Deploying and Managing Virtual Machines: This one-day workshop is for Azure administrators and will help them manage the cloud services that span storage, networking, and compute capabilities, with a deep understanding of each service across the full IT lifecycle. 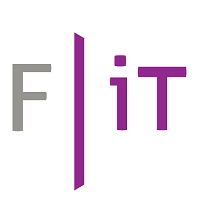 Deploying SCCM: 3-Week Implementation: Infront Consulting Group will deploy Microsoft System Center Configuration Manager (SCCM) and coach the customer (via informal knowledge transfer) on how to accomplish some basic tasks. Designing a Data Platform Solution: This workshop by Dynamics Edge will compare Azure database options, identify data streaming options for large-scale data ingestion, and identify longer-term data storage options. 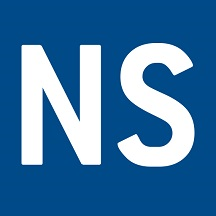 Designing an Infrastructure Strategy: This workshop will describe DNS IP strategies for virtual networks in Azure, compare connectivity options, distribute network traffic, and design a hybrid connectivity scenario between the cloud and an on-premises environment. 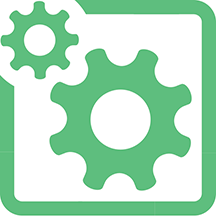 Designing for Deployment Migration and Integration: This workshop will cover deploying an ARM template to a resource group, authoring a complex deployment using Azure Building Blocks tools, and integrating an API or logic app with Azure API Management. Designing for Identity and Security: In this workshop by Dynamics Edge, cloud solution architects will learn about security and identity management within the context of Azure and multiple Software-as-a-Service solutions. Develop Azure Cognitive Services, Bot, and IoT Sol: In this workshop, Dynamics Edge will detail how to integrate Azure Cognitive Services, how to create bots using Bot Framework and Azure portal, and how to leverage Azure Time Series Insights, Stream Analytics, and IoT Hub. Develop Azure Platform as a Service Solutions: This workshop covers Azure Service Fabric, Azure Media Services, Azure Kubernetes Service, creating web apps with Azure App Service, and managing bulk operations through the Batch Service API. Develop for an Azure Cloud Model: This workshop by Dynamics Edge covers asynchronous processing, autoscaling, long-running tasks, distributed transactions, Azure Search, and how to ensure a solution meets performance expectations. Develop for Azure Storage: In this workshop, Dynamics Edge will discuss developing solutions leveraging Azure Storage options, including blob, table, or file storage; Cosmos DB; relational databases; caching; and content delivery networks. 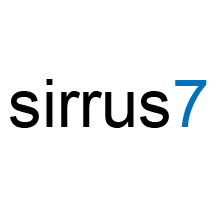 DevOps Acceleration Engine: 4-Month Delivery: The Sirrus7 DevOps Acceleration Engine is a tailored and seamlessly integrated DevOps pipeline coupled with in-depth consulting services to quickly get your enterprise shipping code with Azure-native output. 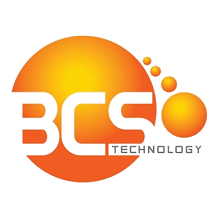 DevOps Assessment and PoC: BCS Technology experts will guide you through your DevOps journey, which includes setting up application pipelines, monitoring performance, utilizing insights, and adding manual and automated quality checks. DevOps with OSS on Azure – 1 Day Workshop: With this one-day training and hands-on lab by Spektra Systems, learn about building a continuous integration/continuous delivery environment on Azure using your favorite open-source tools. Digital Transformation: 1-Hour Briefing: Legacy technology can be the biggest barrier to digital transformation. 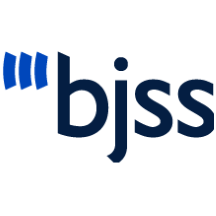 This introductory briefing by BJSS will help customers plan their journey. 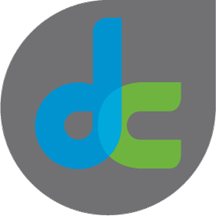 Discovery Detailed 15-Day Workshop: This collaborative workshop by Kiandra IT examines user experience and considers how your new software solution can provide a great user experience. Discovery Lite 7-Day Workshop: Each of the activities in this Lite workshop are timeboxed and tailored to meet intended outcomes. From there, we’ll document and visualize the results from the workshop so that your team is empowered to make decisions on a path forward. Discovery Standard 10-Day Workshop: With more time, the Discovery Standard workshop from Kiandra IT allows us to dig deeper, resulting in a more accurate, detailed outcome. 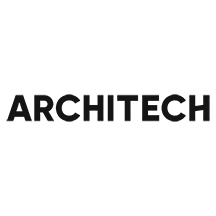 Docker 1-Day Workshop: By the end of this one-day course from Architech, developers will understand how to create, deploy, secure, and manage the lifecycle of Docker containers. Enterprise Blockchain Deep Dive: 5-Day Assessment: Participants of this workshop by Envision Blockchain Solutions will learn about the business value and benefits of blockchain solutions. This deep dive defines both functional and technical requirements. 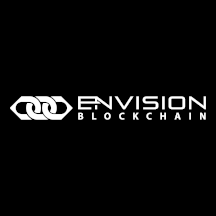 Enterprise Blockchain Immersion: 1/2 Day Workshop: This half-day workshop by Envision Blockchain Solutions will provide a relaxed guided tour of today’s blockchain and IoT technology, aiming to help clients find the "aha" moment they are seeking. Fiber-to-the-Home Industry Overview Briefing: Tilson will provide an overview of the Fiber-to-the-Home (FTTH) industry, addressing dark and lit networks, network owners, consumer and enterprise markets, internet service providers, and incumbents vs. new entrants. 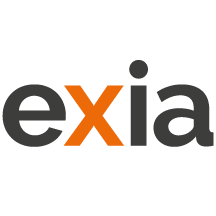 First Analytical Model 2-Week implementation: EXIA's First Analytical Model (FAM) solution includes the development of a personalized analytical model based on client data, enabling the optimization of a business process. 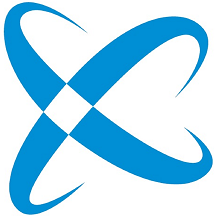 Free Azure Optimization Assessment: 5 Days: In this free assessment, Azure experts from The Henson Group will review (no tools) every aspect of your tenant and produce a list of recommendations to improve performance, lower costs, add availability, and improve security. GP Migration to Azure: 1-Week assessment: In this engagement, Dynamic Consulting will migrate a Dynamics GP 2016 server from on-premises infrastructure to a virtual machine hosted on Microsoft Azure. Hands-on Labs for Cloud Workshops: 1-Hour Session: Learn how to run successful trainings and events with hands-on lab environments for Microsoft cloud workshops. 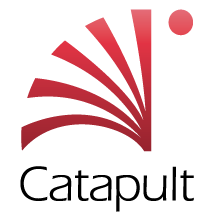 Spektra Systems' training expert will guide participants through the setup process and best practices. 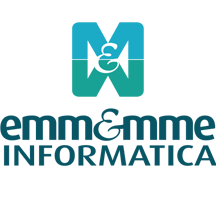 Hybrid Cloud: 3-Day Implementation: Emm&mmE Informatica will deploy a hybrid solution to your on-premises environment and Azure subscription. Implement Advanced Virtual Networking: This workshop by Dynamics Edge will teach IT professionals how to implement and configure Azure networking traffic distribution tools, including Azure Load Balancer, Azure Traffic Manager, and Azure Application Gateway. Implement Azure Development Integration Solutions: This workshop will show participants how to integrate and manage APIs by using Azure API Management; how to configure a message-based integration architecture; and how to develop an application message model. Implement Security in Azure Development Solutions: This workshop by Dynamics Edge details how authentication and authorization work in Azure, and how to implement secure data solutions with encryption, Azure Key Vault, and SSL and TLS communications. Implementing and Managing Application: This workshop teaches IT professionals how to manage and maintain infrastructure for core web apps and services. Learn how Azure App Service is used as a Platform-as-a-Service and app service environment. Implementing and Managing Storage: This one-day workshop will teach IT professionals about Azure storage solutions as well as basic data replication concepts and schemes. Azure Storage Explorer will be introduced. Implementing Workloads and Security: This workshop for IT professionals will help them assess, plan, and implement a migration of on-premises resources and infrastructure to Azure. Azure Migrate and Azure Site Recovery on a Hyper-V will also be covered. Intelligent Mail Management 3-Week Implementation: Intelligent Mail Management is an automated solution for the recognition and processing of letters. 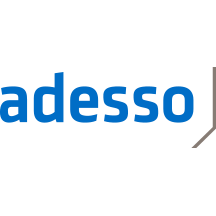 adesso AG will identify your business problems and domain model requirements, then implement its mail solution. 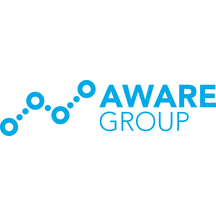 Intro to Machine Learning 1-Day Workshop: In this one-day workshop by Aware Group, participants will be introduced to the fundamentals of data science theory, tools, and practice. This course is suitable for anyone with basic computer skills. 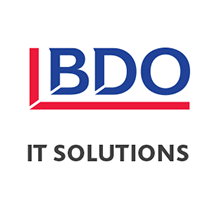 ITSM360 for Financial Services: 1-Hour Workshop Demo: Get a one-hour demo of BDO Canada's ITSM360, a complete IT service management solution powered by Microsoft Office 365 and SharePoint Online. The service is tuned for the Canadian financial services industry. 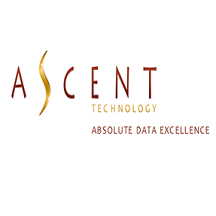 Lift Oracle to Azure 2-weeks Implementation: This two-week engagement from Ascent Technology will lift and shift your Oracle database into Azure so you can achieve high performance and scalability while reducing your yearly Oracle licensing costs. 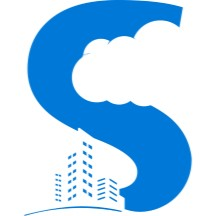 Linux Lift and Shift to Azure - 1 Day Workshop: By the end of this workshop from Spektra Systems, you will be able to configure Linux virtual machines and virtual machine scale sets in Azure for availability, storage, and connectivity. Manage Identities: This workshop by Dynamics Edge teaches IT professionals how to use Azure Active Directory. Participants will also learn about Azure AD’s differences compared to Active Directory Domain Services and how to integrate it with Software-as-a-Service solutions. Manage Subscriptions and Resources: This one-day workshop by Dynamics Edge will help IT professionals manage their Azure subscriptions, their cloud resources through user and group accounts, and their core monitoring tools. Manufacturing website / e-commerce: 1/2-Day Workshop: This half-day workshop by Profound Works is aimed at manufacturing businesses focused on improving websites and e-commerce, from UX design to CMS choice to system integration. Migrate on-Premise to Azure (SQL, SSAS, SSIS): A successful cloud migration plan starts with a clear, data-driven understanding of your infrastructure. 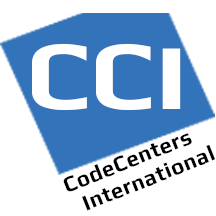 This assessment by CodeCenters International will deliver a migration road map for your SQL databases, cubes, or SSIS. Migrate Servers to Azure: This workshop by Dynamics Edge will teach IT professionals how to assess, plan, and implement a migration of on-premises resources and infrastructure to Azure Migrate, Azure Site Recovery, and Azure Site Recovery on Hyper-V.
Migrate TFS On-premise to Online VSTS - Azure: Cognosys will migrate your on-premises Team Foundation Server to Azure DevOps Services (formerly known as Visual Studio Team Services). Retain access to Team Foundation Server even after the move. Migrate to Azure: 1-Day Implementation: In this implementation service, Intercept will confidently migrate your IT environment, infrastructure, applications, and workloads to Azure. 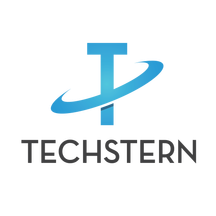 Migrate to Azure: 4-Wk Implementation: Techstern can conduct a smooth transition of your business-critical applications, websites, and Infrastructure-as-a-Service solutions to Azure. Modern Enterprise Analytics Platform Assessment: Adastra will assess your current state, perform a gap analysis, establish a target architecture, and develop a road map toward a scalable, stable, secure, and high-performing enterprise analytics platform powered by Azure. 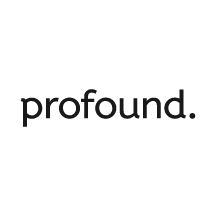 Retail website / e-commerce: 1/2 Day Workshop: This half-day workshop by Profound Works will help retail or fast-moving consumer goods businesses improve websites and e-commerce, from UX design to CMS choice to system integration. Satalyst Enhanced Bot 2-Hour Workshop: Bots and AI present a huge opportunity for companies to streamline customer data collection. During the workshop, Satalyst experts will work with you to identify opportunities to use bots for automated information collection. 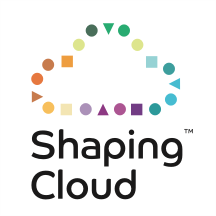 SC:Strategy: Hybrid Cloud Strategy and Business Case: Shaping Cloud's SC:Strategy provides customers with strategic direction and thought leadership on their journey to the cloud, building a business case for Microsoft Azure. Security and Compliance Workshop - 1 Week Workshop: Risk management strategies require multiple layers of protection that limit the pathways that could result in a data loss or breach. 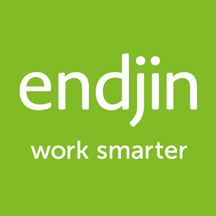 This workshop by endjin will provide an end-to-end review of your application's risks. 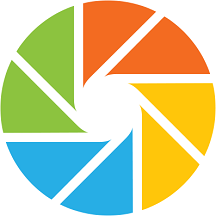 Select the Appropriate Azure Technology Dvlpt Sol: This workshop by Dynamics Edge covers Azure architecture, design, and connectivity patterns, and it will help you choose the right storage solution for your development needs. SMB Ascend 1 week assessment: For IT directors considering migrating to the cloud, EXIA’s SMB Ascend is a solution that lets you quickly obtain a portrait of the different migration scenarios, the related costs and savings, and the support options available. Snowflake on Azure Consultation: 1-Hour Briefing: In this briefing, Decisive Data will cover a variety of topics related to utilizing Snowflake on Azure, including data migration, Snowflake data sharing, data warehousing, ETL/ELT, and best practices. 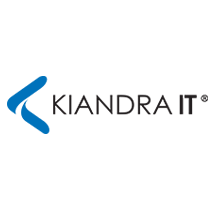 Software Project Discovery 1-Day Workshop: Find out exactly what type of software solution your business needs with this collaborative discovery workshop from Kiandra IT. 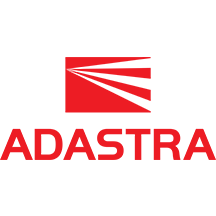 SQL Platform Modernization 10 Day Assessment: Adastra will apply an ideal migration strategy while taking into account security, network sensitivity, configuration, and backup recovery. SQL Server Modernization - 1 Week Assessment: Trianz will help you migrate your legacy SQL Server database to a modern Azure database under a fixed-fee engagement model, a predefined project plan, and tried-and-tested methodologies. 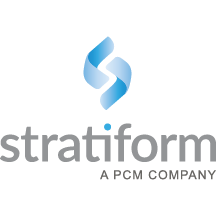 Stratiform Azure Scaffold Offer 5-Day Assessment: In Stratiform's Azure Scaffold engagement, our experts will help you deploy your Azure environment, taking you from design to implementation while supplying you with best practices to optimize the environment. 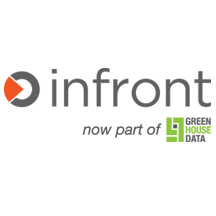 Stratiform Identity Management: Is identity management restricting your move to the cloud? PCM Canada's identity management specialists can help. Give us five days, and we'll give you a secure path to the cloud. 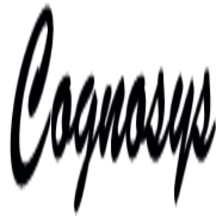 TFS Migration from OnPremise To Azure IaaS: Cognosys will migrate Team Foundation Server from the client’s on-premises environment to Azure Infrastructure-as-a-Service. 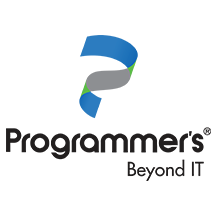 Understanding Cloud Architect Technology Solutions: This workshop by Dynamics Edge will teach IT professionals how operations are done in parallel/asynchronously, how an enterprise system must be resilient when failures occur, and how deployments can be automated. Understanding Your Users 5-Day Workshop: Through a series of user group sessions, Kiandra IT aims to deepen your understanding of your users, their motivations, their needs, and their goals. Windows 2008 Azure Migration 4-Week Implementation: Don't let your infrastructure and applications go unprotected. The Cubesys team is here to help you migrate to Azure for greater security, performance, and innovation. Windows Server/SQL 2008 and 2008R2: 2-day Workshop: This workshop from Thomas Duryea Logicalis is for technical leaders and is held at the client’s facility. It will identify workloads that are suitable to migrate and provide an understanding of cost-saving strategies. 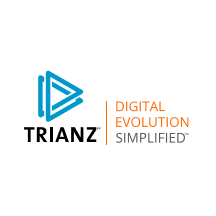 Your Business Reviewal 5-Day Workshop: Kiandra IT will work closely with you to review your current digital offerings and processes, identifying roadblocks, capabilities, and opportunities.